Whats pink and green and zebra all over? My niece's sixth birthday party of course! My homeslice with her hairbow flowerpot centerpiece. I'm not sure if you can tell but there are 9 different hairbows stuck in there. Zebra cake, I'd never had black icing before today - just how much dye does it take to make black icing? Check out her snazzy birthday hat! I also attended a Passion Party tonight, not really my cup of tea but I admit it was hilarious. There were about only about 7 girls present, half of us unmarried. We played some "naughty" word games and she let us sample all of the body lotions, body powders, candles, etc. I loved the soy based candles, the wax never gets searing hot so you can use the hot wax as kind of a moisturizing treatment for your skin. Of course you should purchase something if you go to one of those home shows. I bought Pure Instinct - a pheromone fortified oil that smells differently on each girl. 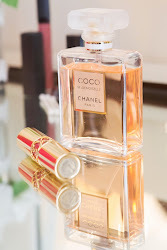 Mine smelled very fruity and clean, my friend's smelled very floral. There was also this heated massager that you can use to relieve sore muscles that I decided to buy, I'd never seen one like it anywhere else. My selections were extremely tame compared to the others! I went shopping this weekend and picked up a few items that I'll probably post tomorrow, most of the stores at my local outlet mall were having fantastic sales that I couldn't pass up! Periodically I like to do updates on things that I'm loving at the moment. Some of the products I've already written reviews on but some have reached HG status! 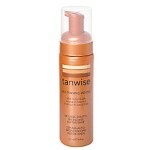 Tanwise bronzing mousse from Sally Beauty Supply. Yep I'm still using it, I'm on my third bottle since last March. I also use the facial tanning lotion from the same line but I mix it with my night lotion to make the color a bit lighter and natural looking on my fair skin. 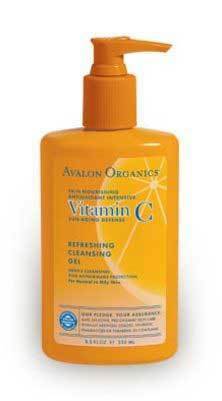 Avalon Organics Vitamin C Cleansing Gel and Toner. I love this line! I can easily find it at Target and most Walmarts, it soothes the reddness in my skin and works well with my clarisonic. I love that it's formulated without all the parabens, SLS, etc. Tarte Cheek Stain has been fantastic this summer, it's light and longlasting. I also like that I don't need a brush to apply it. This has been the color I've worn to all outdoor events like concerts and cookouts and it hasn't melted off yet! 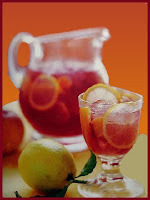 My best friend makes the most amazing sangria. I'm hopefully going to get the proportions from her so I can share the recipe on my blog! The kindness of strangers, err friends and family. 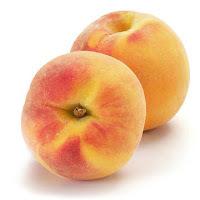 We have had a great response since mom has been under the weather, visitors have brought fresh homegrown peaches, watermelons, apples, blueberries, field peas, green beans, tomatoes, and cucumbers. We have so much good food in our fridge it is ridiculous! 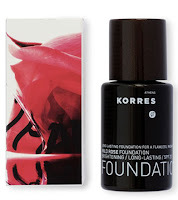 Korres. I love the whole line but the Wild Rose Foundation is a standout performer. Such great products, decent prices for Sephora, and formulated without all the perservatives that are supposedly awful for my skin. Ice cream sundaes, this has been my splurge of choice this summer. Good-ness I love it! 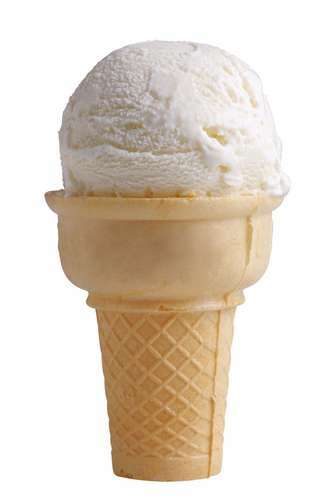 In fact I did a whole post on my love affair with vanilla bean ice cream. 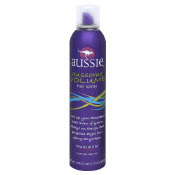 I started using Aussie Awesome Volume Hair Spray a few weeks ago and it has excellent hold and gives my hair a boost. I love the smell and it seems to do fairly well with Carolina humidity. Yum Diet Wild Cherry Pepsi! I tried this randomly a couple weeks ago and I could easily become addicted. This is a treat for me right now (whereas my Sprite Zero is a daily lunch staple). I love the phrase hump day, it's kind of like looking at the week as a glass half full - it's almost the weekend. Isn't it crazy how we work all week just for those couple days off or in my case a 4 day weekend. Its the end of the month and my labs have been drawn already so I'm taking Friday off and my boss scheduled a meeting for next Friday so the best day next week to take off is Monday. I love a 32 hour work week!!!! Our centers are only dialyzing Monday, Wednesday and Friday so it's the new thing to dress down on Tuesdays and Thursdays - anything goes, just cover your modesty. It also gives me the option to wear open toed shoes; a few years ago I had the MOST AMAZING SHOE COLLECTION but I had to tone it down and buy closed toed flats when I worked in the hospital. Healthcare is not a field you want to go into if chic clothes and shoes are your poison. I work in one center where skirts and shorts are comfortable but the other center is more suited to a snow suit - usually I keep my space heater on. I'm actually trying to figure out how to wear my black yoga pants tomorrow since it is my monthly "fat week". Speaking of "fat week", I started running today. It's been several week since I'm exercised, with mom being sick and starting a new job (and my newly found social life) it fell to the wayside. I ran for 30 minutes with a 10 minute full body stretch - I just couldn't keep my mind on it any longer. It's crazy, when I lived in town I never liked running with my ipod, it was this fear that I'd get attacked or mauled over by a vehicle; now that I'm in the country I feel much more comfortable wearing my earbuds. I need to run for stress relief, the last few weeks have been hectic. I just joined a bloggy bible study - what a great idea! I just ordered the book for our study as well as a few other fun summer reads. If anyone is interested in joining I'm hoping it's going to be a good experience. I'm having a hard time finding that niche in my life, most single girls my age don't go to church around here, in fact most of the churches I've visted have been very family oriented which is awesome except when you're the odd one out. To tweet or not to tweet - I can't decide if I should get a twitter account. What in the world would I talk about. Aren't I involved with enough social networks? I didn't realize this post was going to be so random, I hope everyone has a great week! I forgave myself a long time ago for not wanting to prepare a large meal (for mysel f) after a long day of working. I like to experiment with cooking but honestly I hate preparing a meal that only I'm going to get to enjoy. I enjoy crackers with cheese, fruit, and a glass of wine for dinner often. It's especially good in the summer when you don't want to stand over a hot stove and eat a heavy meal. This week I have blueberries, apples, fresh peaches, and ranier cherries sitting in the fridge. 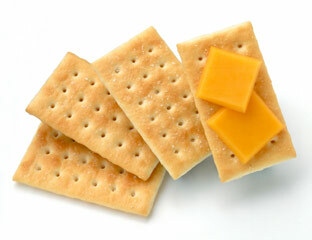 I like the Triscuit reduced fat crackers and usually a couple different kinds of really good cheese. YUM! Anyone else have any dinner cheats?? This isn't exactly a recipe but it is a great crockpot meal that is healthy and simple. Too simple. So simple you can do it without any brainpower and on very little money. You'll need 1 bag of mixed dried beans (also sold as 15 bean soup but I don't use the seasoning packet), salt and pepper, thinly sliced onions, a small splash of olive oil and water. Directions: Mix all ingredients in a crockpot and cook on low over night. Salt and pepper to taste and check it every few hours to make sure there is liquid covering the beans. This works as a side dish when the water is drained and as a soup with the liquid lift in. For variation I've made this before with some leftover breakfast sausage, very tasty especially if you like spicy sausage. I've also made it with broth instead of water which is also good and with rice of course, the way most people make it. I'm in such a hair rut. I was thinking of making a hair appointment with a new stylist and I was trying to collect a few ideas. I'm not sure if I want it cut into a cute style or if I want to get a trim and let it grow. I'm not sure if I wanted it colored to one shade or if I want to continue with highlights and / or lowlights. I have a long face with long features and I'm fair (MAC NC20) with light eyes. I love how quickly I can style shorter hair - it's easy to blow out and I can get it super straight. I also love long hair because it feels so feminine. Here are a few photos I collected from google images. Natalie Portman - These are bangs similar to mine, I was curious how they'd look with longer hair. Kate Beckinsale - I love that she has angular pieces around her face instead of chopping bangs, maybe I'll trying growing mine out. I've had a hairstyle similar to this but I never put the time and energy into styling it. Jennifer Love Hewitt. I love her hair color in this photo, the highlights are so well blended. She is very pale so I love the way the blonde doesn't wash her out. Carrie Underwood. I love her hair in this photo. This is what I'd hope mine could look like in the transitional phase while I'm growing it out. My hair is about this length now but it needs a trim and some blended layering. Angelina Jolie. Love her hair color here. This is almost my natural color but it looks like Angelina had lowlights for this photo. Part of me would like to color it all one shade and start all over again, I have a lot of blonde and red in my hair now and the last stylist didn't blend it as well as I would have liked. Natalie Portman. This is my favorite photo I found, long layers, dark brown with a touch of golden highlight, and angled bangs. Natalie's hair isn't super thick and neither is mine so I think I actually can achieve the look in this photo. Bonus - if I grow out the bangs in this photo I'd have something similar to the Kate Beckinsale photo. I'm probably going to splurge on new hair care products soon. I'm trying to use up the last of what I have now and replace with a new brand. I'll definitely be doing some research to find the best products for me...it will take several trips to Ulta and Trade Secret I'm sure. Her hair. Her makeup. Perfection. 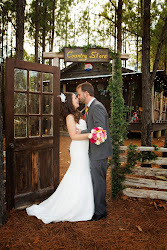 The dress is gorgeous, it isn't my cup of tea but she couldn't have picked a more stunning gown for her wedding. 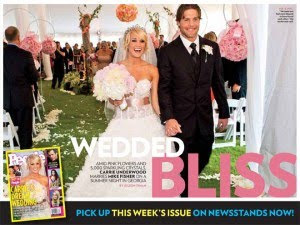 And the best part - it looked like a wedding full of love and good memories, not staged for press photography. Best wishes for the happy couple! Let me count the ways... 1. 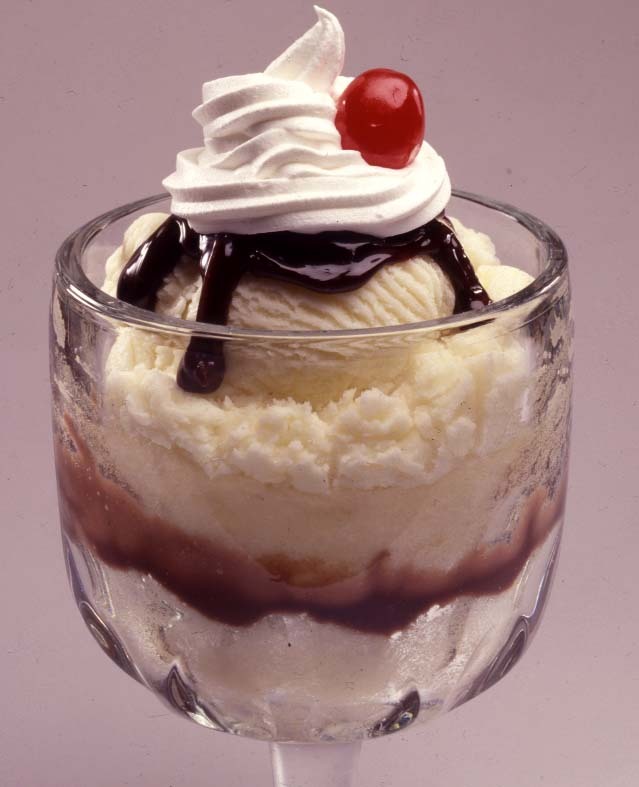 Topped hot fudge plus or minus warm brownie 2. Sprinkled with nuts in caramel syrup 3. Covered in hershey syrup and sprinkles 4. Over warm peach cobbler 5. Alongside apple pie or cobbler or crisp 6. With strawberries in their own syrup 7. On top of pecan pie 8. Served with bananas foster Yummy! 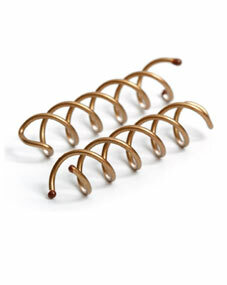 The perfect staple for spring, summer, fall, and winter. PS. I have so much respect for those of you who take photos of yourself. It took SEVERAL tries before I had a shot of my hair and I was looking in a mirror! My old template was going to expire so I found this snazzy new one from Simply Chic Blog Backgrounds If anyone is shopping for a blog background, mosey over to her site and check out her lovelies. On another note my Page Layout tab is missing and I can no longer change my font and colors!!!! Is anyone else having this problem??? I was nominated for a blog award. I think this type of thing is so much fun! I saw my link on MySoCalledFairyTale and was so excited. She has such a great blog and her name is April too! 1. Thank the blogger that gave you the award. A big thank you to April! 2. Sum up your blogging philosophy, motivation, and experience in 5 words. 3. 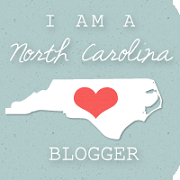 Pass it on to other blogs which you feel have real substance. 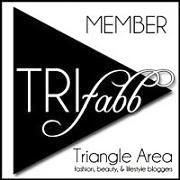 There are so many blogs that I love, I'm going to tag the last three that I joined. I've seen this little number popping up on many blogs this summer. I saw Giada make this years ago as a side dish on one of her shows and I've made it with fresh summer tomatoes every year since. I look forward to it because it requires no cooking, minimal preparation, and minimal washing up. Basil is easily grown in a pot, I have several neighbors that grow tomatoes, and I love an excuse to buy really good cheese. I start by washing and slicing tomatoes, usually I cut out the middle part with all the seeds so my salad isn't too wet. Add the tomatoes to some fresh mozzerella, fresh basil, olive oil, and salt and pepper. It's better when you let the flavors sit overnight. I like it as a cold salad with TownHouse Flatbread Crisps or on half of an Arnolds Sandwich Thins toasted as Pizza Margherita. I found a list of the top 100 movies of all time and I thought it would be a great "life goal" to watch the creme de la creme of cinema. Yay for netflix! I will be putting these movies on my queue. The ones I have seen and remembered I have bolded. I just found this awesome blog Simply*Southern and I was reading a few of her past entries and came across this great little game. Since I've been in a blogging slump and with mom in the hospital I really am not in the mood to have original thought, I decided to give it a go myself. She bolded the items that she had experienced and so will I. Some of these are really random but I had a good time going through it. If anyone else wants to give it a go, I'd love to read it. My mom is in the hospital. 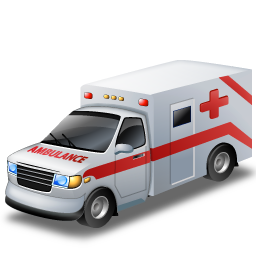 For the past several weeks we've had multiple trips to the ER and finally they kept her for a full workup. I've been trying to go the the hospital as much as possible which is hard because I just started a new job recently and I can't take time off and my FMLA benefits haven't kicked in yet. I don't have any news yet so I'm sending prayers up. Yesterday I had to go to a conference for work sponsored by a pharm company -- they went all out for our lunch! Omg, we went to one of the nicest bistros in the area and had the most amazing salad for our appetizer. Look for this in a future post, I will definitely be trying to recreate it. There were three entrees, I chose the lobster salad on a hoagie roll (I ate very little of the bread, the salad was so good on it's own), this was show stopping, the lobster hadn't been frozen so it tasted soooo fresh. Dessert was a peach and berry cobbler. I was definitely more interested in the food than the conference, no new information was shared so mostly it was just reinterating the indications and use of the medication along with some new research studies. It was well organized and presented but the actual content I already knew, it was a very good brush up on the information though. Mom told me when she came home she wanted to crack down on eating healthy so I'm hoping to make that salad from the bistro as her "coming home" dinner. This whole experience has humbled me, I've never seen my mom so sick and in so much pain before. I've had to do the simplest tasks for her, actually today at the hospital it was hard for me to leave her. I found a quote that I wanted to share that really speaks to me right now, "I have been driven many times to my knees by the overwhelming conviction that I had nowhere else to go" Abraham Lincoln. If any of you pray please sent a quick one up for my mom and I'll thank you in advance. I have seen this post from several beauty bloggers so I thought I'd join in on the fun. Would you rather go out with messy hair and nice makeup or nice hair and no make up? I'm pretty sure my hair always qualifies for "messy" because I'm not great and doing it so I'm going with the makeup. Usually I spend as long as I need in the mornings on makeup and whatever time is left over to comb the birds nest out of my hair. Would you rather shave your eyebrows or have your eyelashes fall out? I don't really have eyebrows as it is and I discovered a long time ago that I can't go without filling them in so I'd rather keep my eyelashes and continue to pencil on my brows. Would you rather be forced to shop at MAC or Sephora for the rest of your life? I don't understand why these two continue to be compared with one another...two very different beauty stores. Personally I would go to Sephora 365 days a year if it were possible - I love MAC's eyeshadows and blushes for the quality / price ratio but they are replaceable by other brands. Would you rather wear a lipgloss / lipliner look or an 80s perm? Um my hair is naturally curly - a perm would result in my hair breaking off and a LOT of frizz. I'd rather take all the aforementioned beauty crimes before I take the perm. 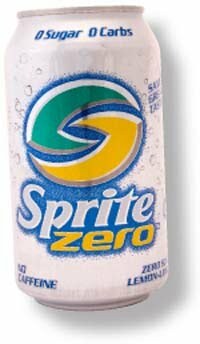 Plus my mom used to get them and the smell makes me gag. Would you rather leave the house with an obvious foundation line or overdone blush? Blush, bring it! I struggle with the right amount of blush on a daily basis, I just love how alive my face becomes. Would you rather wear MC Hammer pants or biker shorts in public? Confession: I had to google MC Hammer pants, the images resulted in a BiG fAt hellno. Would you rather have a bad orange-y stray tan or really weird tan lines that can't be covered? Are tan lines really that bad? I mean compared to being Oompa Loompa? Would you rather have a bad haircut or bad hair color? A bad hair cut makes me sad, it's my greatest fear when I go in for a new style. I can shrug bad color off, it won't be the first or the last time I'm sure. I love experimenting with color. Would you rather have youtube or twitter taken away forever? Twitter, I have an account and I don't really fidget with it. Would you rather give up using makeup brushes or mascara? I have enough cream blushes and eyeshadows I think I can handle not having brushes...there isn't an option for applying mascara without a wand. PS - While doing this blog I'm watching QVC featuring Laura Geller and she has some fantastic looking products (I'm forcing myself not to place an order).